I opted for the lip and cheek tint by Cid but you could have a mascara also, I probably wont use it as a cheek tint but it smells nice and looks lovely. 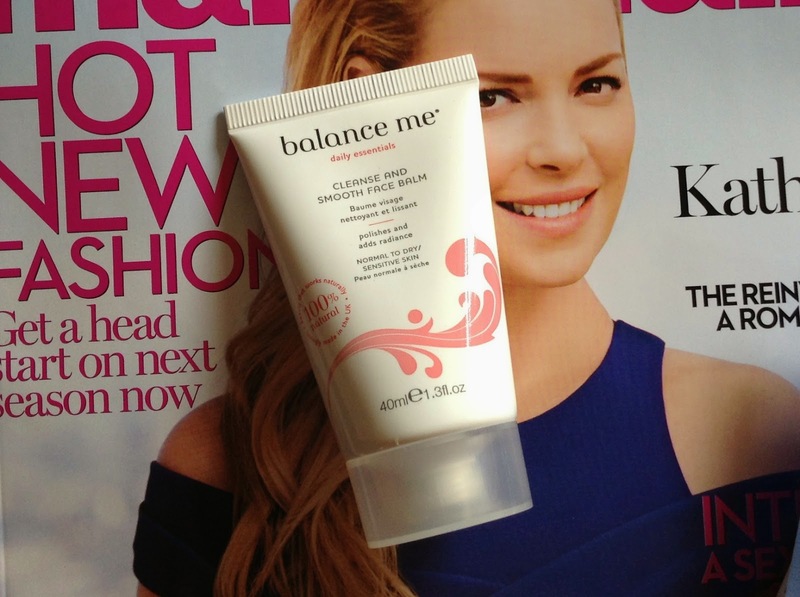 I love Balance me and haven't tried there cleanser yet so I had to pick this up as it was a bargain, but they also have there moisturiser on offer with the magazine also. I love there packaging it is so simple yet so pretty and grabbed my attention. 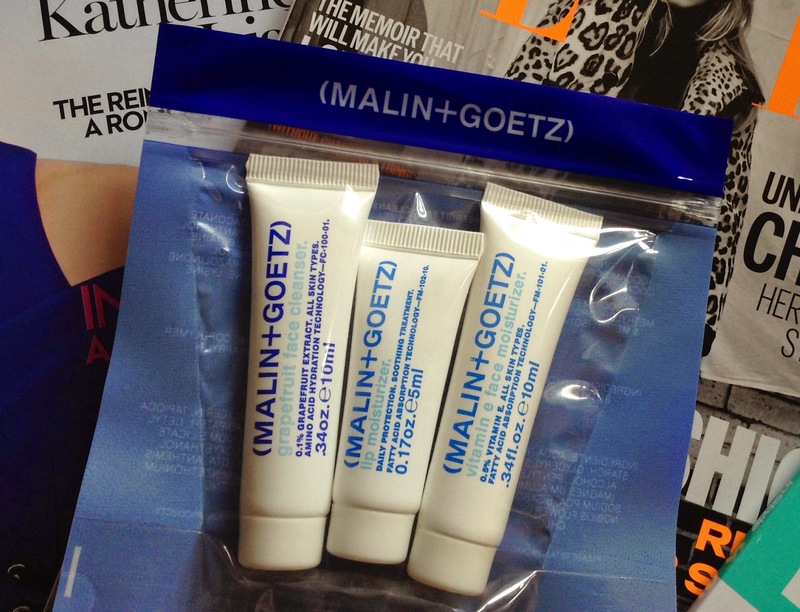 In this months Elle you get a little travel set from Malin + Goetz including a cleanser, lip moisturiser and face moisturiser, Cheryl cole looks so beautiful and classy on the cover too I didn't even recognise her at first. Like I needed another lip balm but I just wanted to try the Rodial skinfood lip balm out for good measure, obviously. 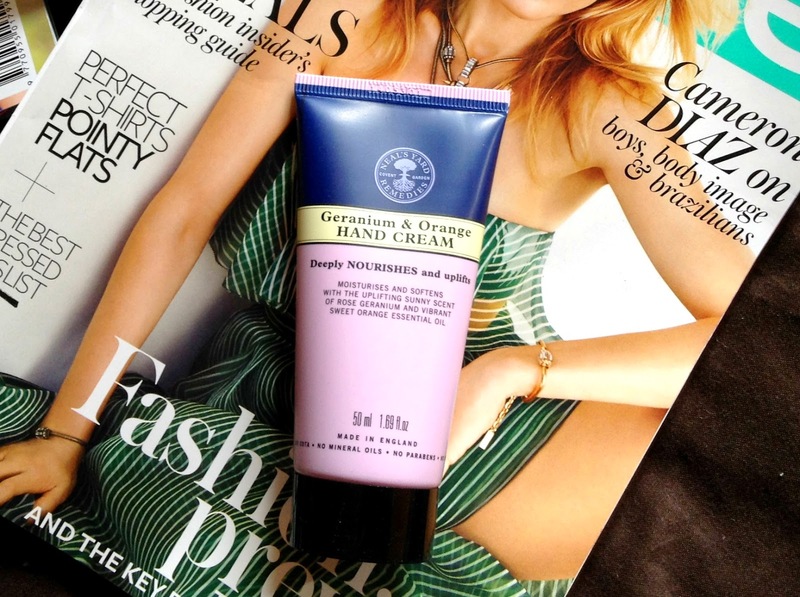 I am massively into my hand creams at the minute so had to pick this up, I love Neal's Yard products too they just feel so luxurious, I also love there packaging this smells beautiful I can't wait to start using it as the one I am currently using is almost up. 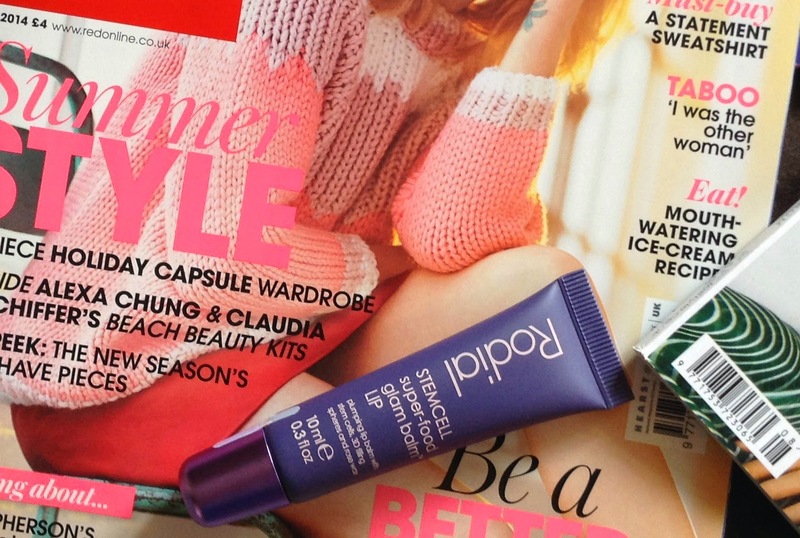 Have you picked up any magazines for the freebies this month yet or have your eye on any? I am still on the hunt for a Clinique chubby stick, I am really hoping I find one.